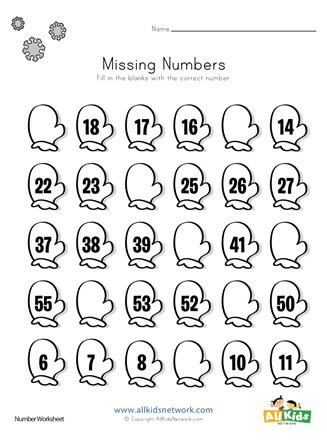 This winter themed worksheet is great for helping kids practice counting. Each mitten can hold a number, but some mittens are missing their numbers. 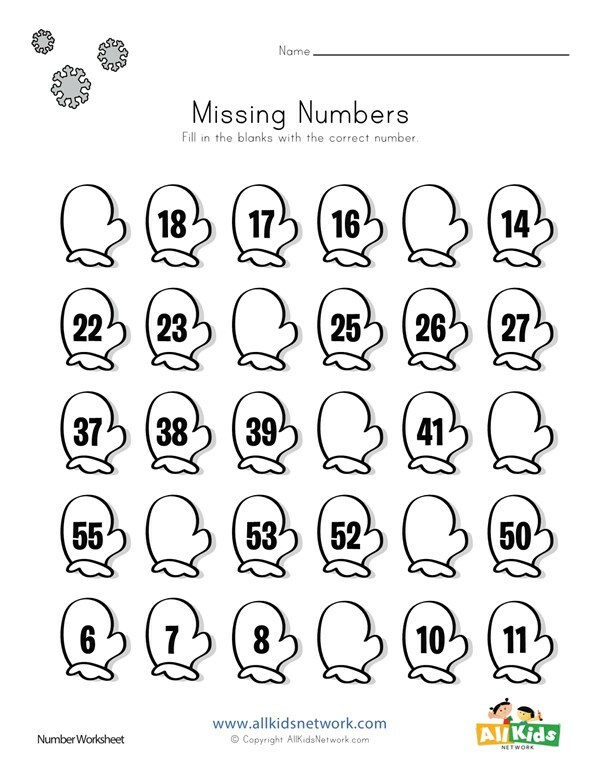 Use the numbers around the missing one to figure out what number is missing.